If you have ever adopted a puppy, you may have read somewhere or heard from another dog owner that socializing them is key -and they are right. Most experts heed socialization as one of the first critical practices needed for raising a healthy, respectful and confident puppy. Puppies rely on their owners to steer them in the right direction, especially when they are young and in the beginning stages of development. It can be detrimental to their development if socialization is not introduced at a young age and can put limits on you and your dog’s life. During this period your pup will determine who or what they fear, who or what they love and who or what to avoid all together. The more variety of environments that you subject your dog to, the less uncommon or stressful these situations become. This will give your puppy more confidence to go about life with a carefree attitude, in turn allowing you to take your dog essentially anywhere without an issue. As far as introducing your pup to the dog park at an early age, it is recommended that you wait and do it in baby steps. 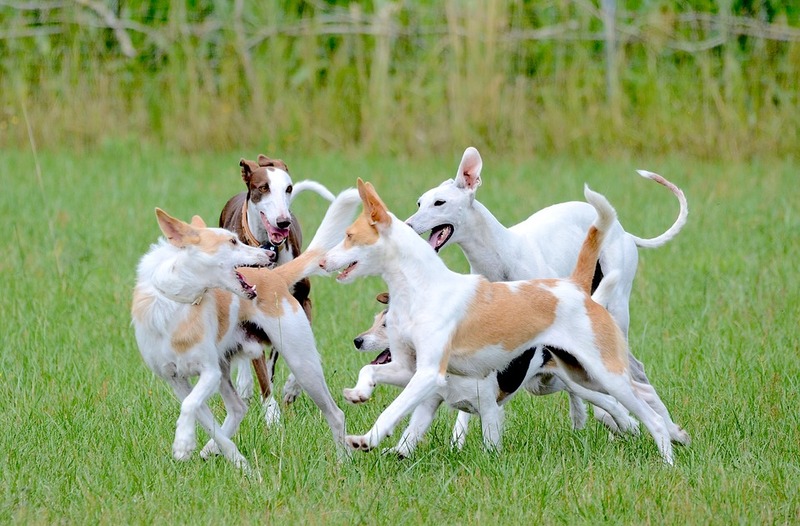 It is important to hold off until your pup has gained confidence and experience before you throw them into a large group of dogs; It can be quite overwhelming to them. An example of a positive reinforcement situation would be to first, command your dog to sit, second, give him/her a treat when they do it and third, reiterate a positive word like “good boy/girl”. By doing this, you are increasing the frequency of positive behavior and rewarding your dog when they do it. One of the biggest advantages of positive reinforcement is that any dog, no matter what age can respond quickly and well. These examples are why EARLY socialization is key in raising a healthy and happy pet. The effects of positive reinforcement and socialization will last a lifetime and make for a fun life for the both of you. You can opt for a well ran puppy socialization class if you feel you cannot do it yourself, as well as make a checklist of different social activities your pup can be introduced to. Keep in mind that it is not the quantity of experiences needed to help your pet, but the quality of every interaction that makes the difference.